Veteran art dealer Doug Drake no longer maintains a brick-and-mortar gallery space, but he is still very much in the art game. 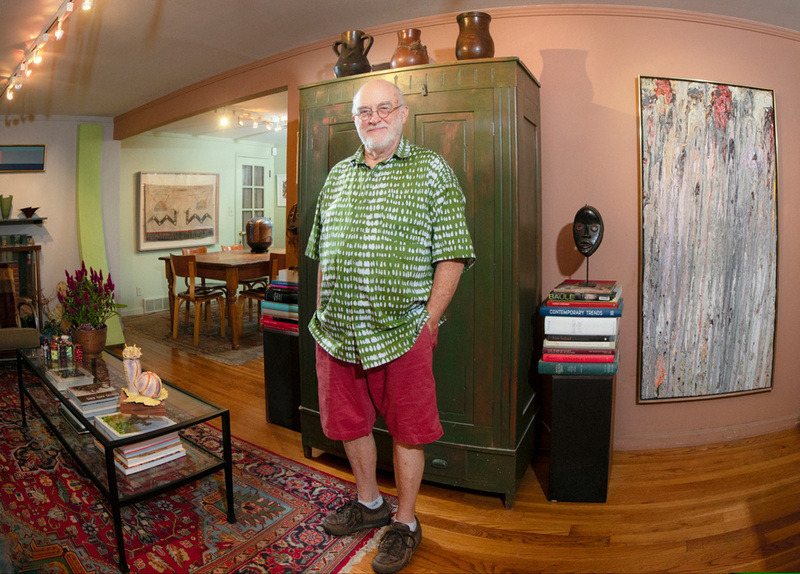 Following 20 years running Douglas Drake Gallery and subsequent stints in development and fundraising, Drake, 74, has spent the last 10 years working as an independent art consultant, operating Drake Fine Art out of his home in Prairie Village, Kansas. Through his website http://www.drakefineart.com/ he provides a variety of services, including appraisals, offering art for sale, and advising collectors and estates. Drake’s expertise encompasses historical and contemporary art as well as non-Western art: He was recently entrusted with the disposition of a collection of weapons and musical instruments assembled in the former Belgian Congo (now Democratic Republic of the Congo) in the 1920s by Walton Hall Smith, a writer active in the first half of the 20th century. Other recent projects have included appraising works by 18th-century French painter Nicolas Lancret, 19th-century American painter Thomas Cole, and 20th-century American works by Arthur Dove, Marsden Hartley, John Marin and Fairfield Porter. He also appraised a contemporary artist’s entire inventory, in preparation for placing works into family trusts. Drake’s own art inventory includes important limited-edition prints by Romare Bearden and Jacob Lawrence. Drake, who grew up in Johnson County, Kansas, began his art world career in the late 1960s in Kansas City. He attended Williams College, followed by Stanford Business School, where he completed an internship at Hallmark Cards. He then worked at Hallmark full-time from 1967 to 1973. 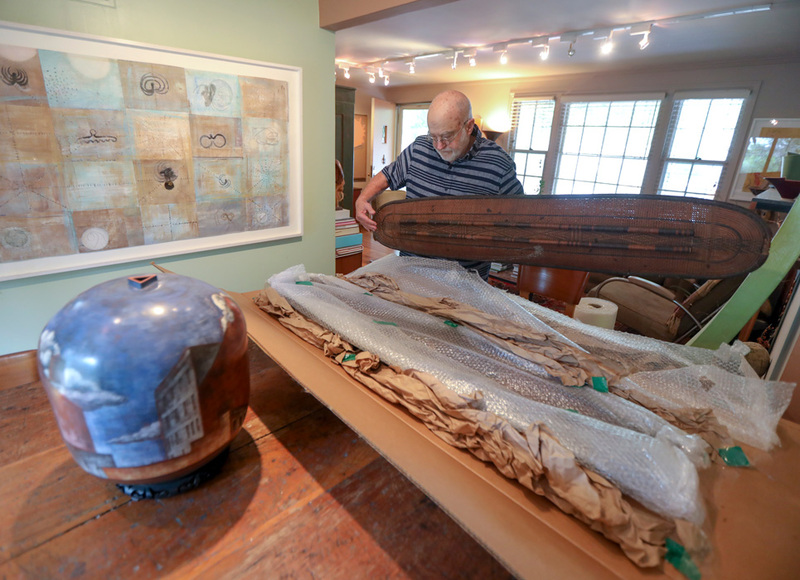 His love for art blossomed while he was with Hallmark and deepened when he became involved with the Friends of Art at the Nelson-Atkins Museum of Art in the late 1960s. Sometime around 1972, Drake co-curated a show with Ted Coe in the sales and rental gallery that was part of the Nelson-Atkins at the time, expanding upon his experience collecting art to become a presenter of art. In 1973, this passion to exhibit art took over. He left Hallmark and opened Douglas Drake Gallery at 45th and State Line, which featured works from the Impressionist period through Pop Art. The Kansas City art world was a different place then. Drake remembers a “collaborative regard” among galleries of the time that led to practices that are now important parts of Kansas City’s art ecosystem. Drake continued running a KC gallery space until he was asked by a major client to move to New York in 1987, along with his spouse, art historian, curator and writer Elisabeth Kirsch. He re-opened Douglas Drake Gallery there, while Kirsch became curator of the Continental Corporation art collection. Due to bad market conditions in New York in 1994, he and Kirsch returned to Kansas City. After more than 20 years of working in the art world, Drake stepped back into a corporate environment, albeit in a non-profit capacity this time. In 1994 he became development director at Kansas City Ballet, based on his experience working in strategic planning at Hallmark and relationships that he had formed through his prior Kansas City history. Upon leaving the Kansas City Ballet in 1999, Drake continued working in development, raising funds for Kansas City Public Television until 2008. He also moonlighted in art sales. In 2008 the art world beckoned again. Drake wrote a catalog essay for the retrospective exhibition “Dan Christensen: Forty Years,” shown at the Kemper Museum of Contemporary Art and at the Sheldon Memorial Art Gallery in Lincoln, Nebraska. Also in 2008, at an age when many start thinking of retirement, Drake undertook training to become a certified appraiser and began working under his current business model.